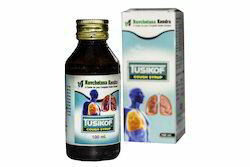 Pioneers in the industry, we offer tusikof cough syrup, leucare plus syrup, medhocare capsules, amla juice, geriplex capsules and triphala ras from India. Dose Dosage: 1-2 tablespoon thrice a day or as directed by physician. Dosage: 1-2 tablespoon thrice a day or as directed by physician. 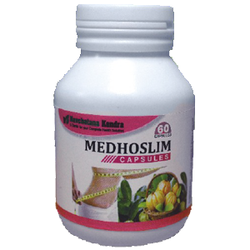 Medhocare is an Ayurvedic herbal medicine which is used to treat obesity. Losing weight is not easy, but Medhocare seems to be a miracle product for reducing weight within few weeks. It is considered as natural weight loss remedy. Medhocare is available in the form of capsules in market. Each box of medhocare contains 60 capsules. It is widely recommended medicine for losing belly fat. Medhocare contains many herbal ingredients such as Shunthi, pipali, plumbagazely lanica, shilajeet, Amla, Baheda, Harad and many other Ayurvedic extracts. 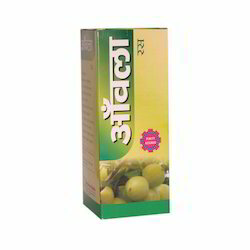 Babool is also included as an ingredient in Medhocare which helps in therapeutic treatment.Composition of Ingredients in Medhocare:-Each Capsule of Medhocare is of 850 mg. each capsule contains many Ayurvedic and herbal ingredients including Vrikshamla (Garciniacambogia), Shilajeet (Asphaltum), Chitrakmool (Plumbagazeylanica), Guggulu (Commiphoprawightil), Triphala (Amla, Harad, Beheda), Pipali (Piper longum), Kutki(Picrorhizakurrao), Babool(Acacia Arabica), Shunthi (Zingiberofficinale), Nishoth (Operculinaturpethum), Mustak (Cyperusrotundus), Vidnaga (Embelicaribes). Medhocare is a miracle medicine for obesity.It gives a curvaceous and healthy body to its users. Medhocare is also used to slow down the process on carbohydrate conversion in body fat. Medhocare is also recommended and included in fast weight loss plans by famous dieticians. Medhocare helps in suppressing excessive crave for food due to existence of Garcinia cambogia (vrikshamla) in it. If Medhocare is consumed with regular physical activities including yoga, exercise and morning walk and also along with a balanced diet with salad, vegetables and fruits then it reduces fat and problems of obesity with 100% assurance. Medhocare is used to treat fat issues of human body. Medhocare also helps in promoting and stimulating healthy metabocare and helps in burning the extra fat in body. 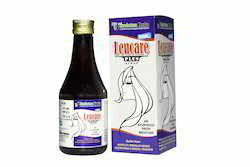 Medhocare is also used for reducing belly fat naturally and facial fat, Kapha related disease and other ailments. Medhocare also helps in treating inactiveness, breathing problems due to heavy body. Medhocare is also used to boost mental alertness, stamina and energy level in human body. Medhocare can also be used for maintaining the healthy level of blood sugar and healthy functioning of heart in human body. 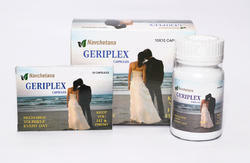 We provide Geriplex Capsules of extremely good quality which is used in healing various health issues. 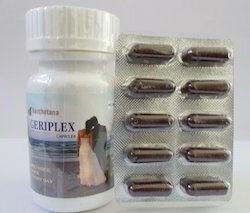 We are providing natural medicines like Geriplex Capsules to our esteemed client which are used in healing in various health problems. 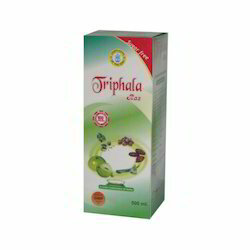 We offer the Triphala Ras at an affordable price to our clients. This herbal medicine is regarded to be an effective treatment of constipation and diabetes. It also improves digestion, thus preventing graying and even falling of hair. The product is a must have for those, who want a slim and smart figure.